Made to fit both Full and Full XL Beds! Are you looking to add amazing comfort to your dorm bedding? You deserve it! Sleep can be hard to come by some days in college when you have a busy schedule, so when you do have a chance to get it you want all the sleep you can get. But if you just have college sheets separating you from your Full or Full XL size mattress, you might have some trouble getting the sleep you need. Let's face it, dorm beds might not be the comfiest beds in the world, but that doesn't mean you can't change that! Adding essential Full size bedding can greatly increase the comfort level of your college bedding. Our Bafflebox Full Duck Down Featherbed - Oversized Full XL Bedding is the perfect dorm bedding item to add to your Full or extra long Full size bed. 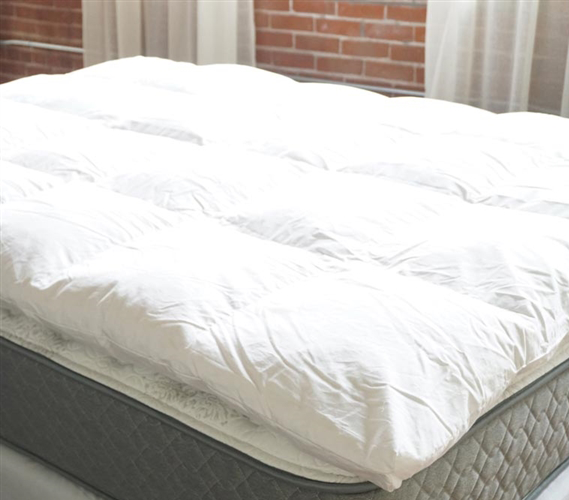 Just lay this incredibly comfortable Full/Full XL duck down featherbed over our college mattress and you can automatically enjoy the heightened comfort. 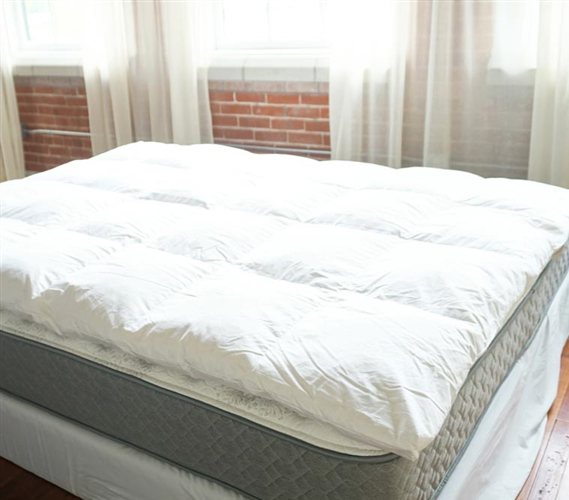 The unique Bafflebox construction of this one-of-a-kind dorm featherbed will eliminate shifting of the cozy down and feather inner blend, so you will have evenly distributed comfort across your Full or Full extra long bed.